Traveling to New York City? This is the best spot on the internet to discover places to swim in New York City. Each day you might be not swimming you are losing precious time to increase your expertise a be a much better swimmer! No extra excuses!. Not all countries would be the same, and swimming regulations and rules are changing from one country to yet another. Are you a common swimmer? 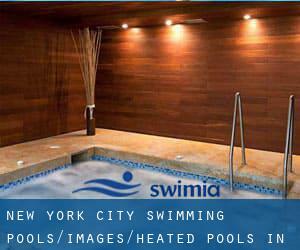 Do you visit precisely the same Heated Pools in New York City? Please check that all the information for your aquatic center are correct and make contact with us in case you acquire any mistake. Swimia.com wants your feedback to ensure all the details is valid, since maybe this pool is no longer open towards the public. We currently have the following Swimming Pools, but we are normally grateful for any corrections or contributions. Get in touch via our contact form. 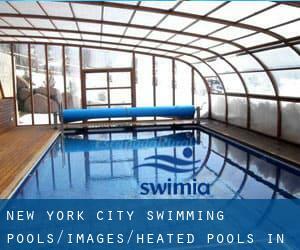 These are the Heated Pools in New York City other users have reported. Are you a local and your pool is not listed? Contact us to ADD IT. It's totally free! 2600 Netherland Ave. , Riverdale , Bronx , NY , USA (Postal Code: 10463). Among all the activities offered by the center, if you are considering swimming you will enjoy 25 meters x 10 meters, 4 lanes, Indoors. Just in case you desire to make contact with this Swimming Pool before dropping by, we only know the phone number. 344 E. 14th St. , New York , NY , USA (Postal Code: 10003). Among all the activities offered by the center, should you be considering swimming you can expect to get pleasure from 20 yards x 25 feet, 4 lanes, Indoors. If you'll want to contact this Swimming Pool, email address and phone number are both number. Updated on 2019 39 Whitehall Street , Financial District , New York , NY , USA (Postal Code: 10004). Among all the activities offered by the center, should you be considering swimming you are going to get pleasure from 60 feet, 2 (wide) lanes, 3 feet - 5 feet depth, Indoors. If you must contact this Swimming Pool, email address and phone number are both number.